Most New Zealand Irish remained loyal to the British Empire before and during the First World War, and enlisted for that war in large numbers. 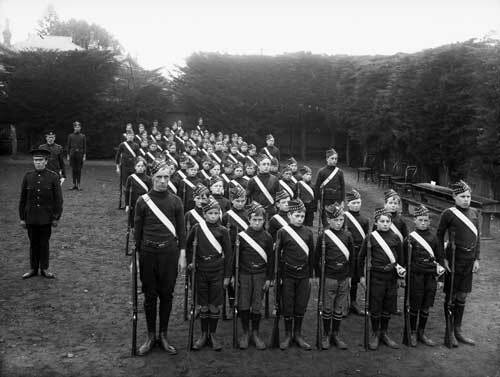 These Catholic school cadets parade in the grounds of the Marist Brothers School in Whanganui about 1910. Cadets were seen as part of the expression of support for the empire.